He is Risen! 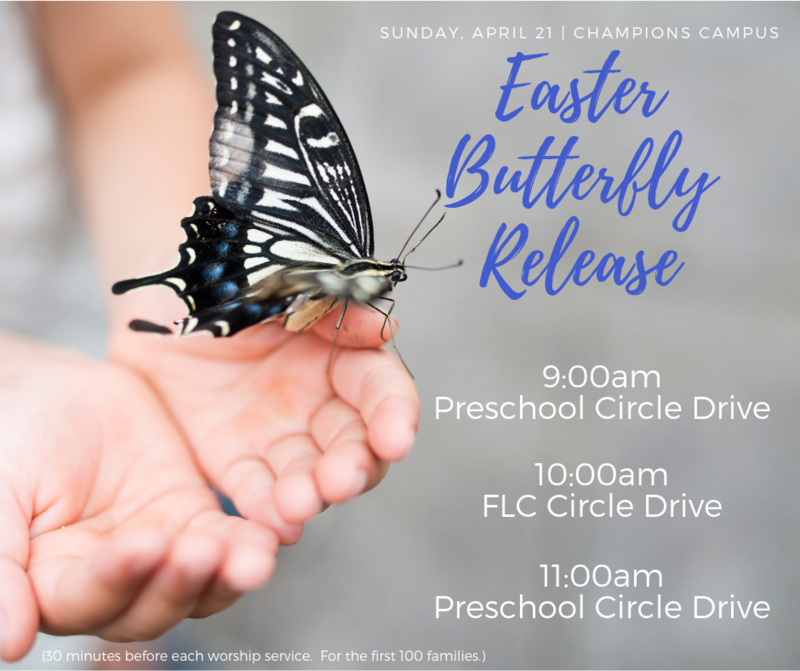 Celebrate Easter with us at Champions Campus through our Easter Butterfly Release. 30 minutes before each worship service. For the first 100 families.